Which is the Best WordPress Popup Plugin & Why You Should Use One .. Most site visitors would tell you that they hate popups, but we still see them everywhere and the reason is quite simple. Popups work really well when it comes to retaining visitors and pulling in big crowds. Popups help increase site conversion rate, which is quite high in some cases (as high as 300%). However, popups should be used very selectively and carefully as they can also negatively impact the user experience and do more harm than good if not done properly. Another issue associated with popup plugins is their negative impact on site performance and page loading. Most sites use popups to convert random visitors into email subscribers, but they can also be used to highlight important content and promotional offers. 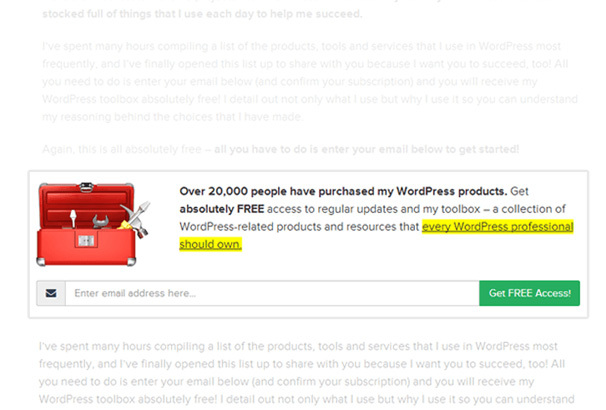 1 Why Use Popup Plugins? Poorly designed and executed popups can cause issues that not only harm SEO, but may also result in annoyed visitors and poor user experience. With thousands of free and paid options available, it often becomes a daunting task to pick the right one that helps convert random visitors into subscribers. Many plugins also offer unique features that allow you to differentiate your website from the rest and stand out from the crowd. Popups plugins can be particularly effective for online stores looking to convert ‘window shoppers’ into leads and sales. When designed, placed and executed smartly, popups can do wonders and make visitors click irresistible offers by catching their attention immediately. Popups help build massive email lists, which are a great asset and have the potential to generate continuous revenue streams in the long run. Email opt-in forms are not the only purpose of popup plugins as they can also be used for a variety of other purposes. Popups can be used to highlight the most important content or offers, links to special promotions, advertisements, online store and more. However, the goal should remain to educate visitors and provide them with information or offers they might be interested in. How would you react if you are reading through a webpage and suddenly the whole page gets covered by a distracting popup? Not only full-page popups are distracting and annoying, they also mostly fail to grab reader’s attention. Full-page popups may work in some exceptional cases, but they should not be treated as a norm and it’s recommended to use small-medium sized popups. Non-stop popups annoy everyone as many site owners try to over-promote their products, services or ideas. Continuous popups are more likely to interrupt and distract visitors, who are most likely to leave the site and find another one that shows one popup per browsing session. More importantly, why show a visitor popups repeatedly if he/she is already a subscriber? The Call to Action button should properly communicate its purpose and make it clear what would happen after a visitor clicks the button. For example, instead of a ‘Download’ button, it’s better to clarify what the Download is about such as ‘Download Free Training Material’. 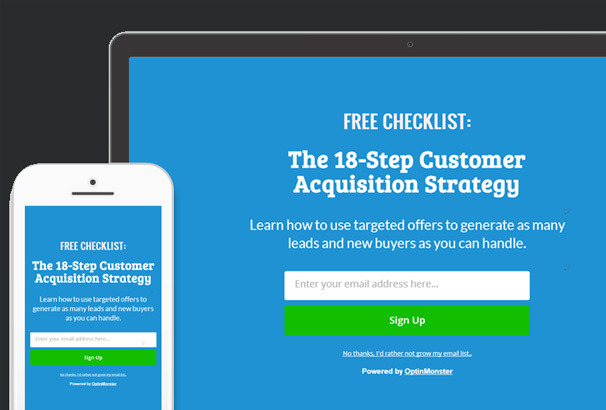 Visitors are more likely to click a CTA button if they know exactly what it offers. It’s not so uncommon to see popups with the exit button positioned in such a way that it is not clearly visible, cleverly hidden or not present at all. These kinds of popups are guaranteed to drive visitors away from the website as they feel that they are being cheated and forced to subscribe against their will. It’s recommended to allow visitors to close the popup using multiple ways, such as a close button and clicking outside the popup. Allowing popups to appear too soon or too late usually defies their purpose. Showing them too soon is considered rude and a visitor may not be on the same page after 10 seconds. The exact timing depends on various factors, but showing a popup after five seconds is generally considered the sweet spot. Depending solely on popups to convert visitors into subscribers isn’t considered such a good idea as there are many other ways to achieve the same goal. Site owners can also use fixed featured boxes, link at the bottom, site footers and more to generate email lists and provide visitors with a more engaging and better user experience. This post includes some of the most popular WordPress popup plugins and makes it easier for you to pick the one that works best according to your own requirements. It’s hard to say which one is the best, but a capable popup offers the right balance between functionality, performance and features. Ease of use is another important factor to consider while selecting a plugin as some plugins are difficult to setup and use and setting them up is something only advanced WordPress users would want to do. There is no shortage of free plugins that provide basic functionality, but they should be used carefully otherwise they may do more harm than good. OptinMonster is an option worth considering if fast page load times and advanced options is your primary concern. The WP popup plugin allows visitors to signup multiple times and comes with a variety of opt-in types which can be placed at different locations throughout the site and landing pages. 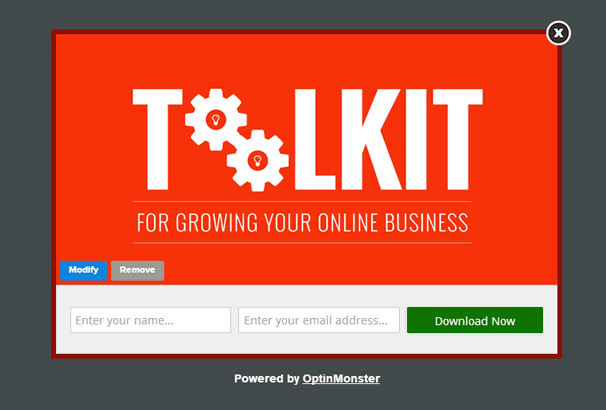 The supported opt-in types include floating bar, lightbox popup, inline, slide in, slidebar, mobile opt-ins, full-screen, MonsterLinks and canvas opt-ins. 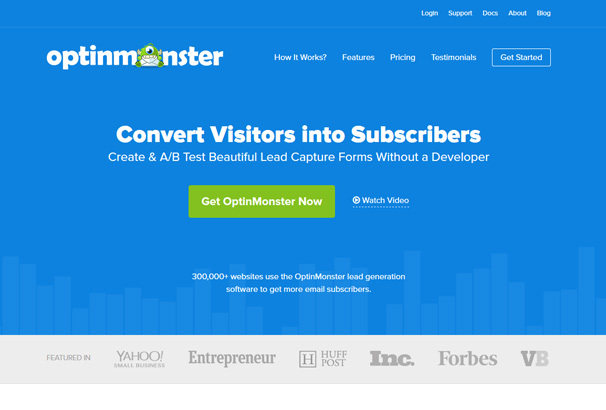 OptinMonster’s also offers its signature Exit-Intent Tech, which displays a popup when it detects a user is about to exit. Users can even design their own opt-in forms using the simple and intuitive visual designer. The custom form designer allows changing colors, fonts and more and provides the option to add custom images. Multiple templates are available that make it easier for users to create and smartly place popups. Being a Google Analytics certified partner, the plugin also provides insightful analytics about how opt-ins are performing and can directly be integrated with a Google Analytics account. A/B testing is also on offer, which allows testing different optin types and helps determine the one that works best for you. Another benefit of the plugin is its ability to seamlessly work with platforms other than WordPress, which is a big plus for site owners who run their sites on multiple platforms. The Canvas feature allows users to create more than just signup popups, including WooCommerce popups, related posts, contest popups and so on. Basic plan starts from $19/month and offers most of the tools starters need including unlimited opt-in forms, A/B split testing, page-level targeting and reporting tools. Plus and Pro packages cost $29 and $39 per month respectively and include many advanced features such as floating bars, sidebar forms and content locking. All plans are eligible for an additional 25% discount if users opt-in for annual billing. Although Bloom does not offer as many features as OptinMonster does, it still manages to deliver excellent value for the money and offers a slightly different set of features. The plugin does not offer functionality similar to Exit-Intent Tech, but it comes with locked content functionality, which restricts visitors from accessing premium content unless they provide their email. 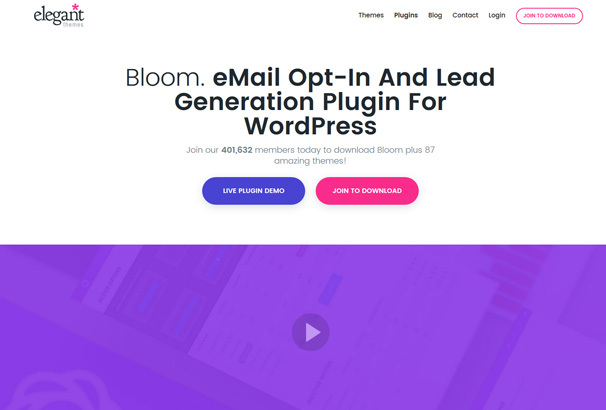 Bloom is also very easy-to-use and provides all the tools and features users need to rapidly grow an email list, including six display types, fly-in triggers and ability to integrate with 16 email marketing systems. Users can choose from more than hundred templates and customize them according to their own requirements. A/B split testing is also available and allows users to compare performance of different opt-in forms and select the one that’s most effective. Adding, tracking and modifying accounts is easy and users can add unlimited email accounts, which are automatically organized. Bloom provides users with tools they need to export and import data and allows them to transfer data from one site to another. This feature also allows users to regularly backup their data and settings. The dashboard and opt-in forms are responsive and Retina-ready, which means they look great on every device, including high-resolution smartphones and tablets. Users have the option to purchase Bloom popup plugin as a one-time license or pay annually to get access. The annual license costs $89/year, while the one-time license is available for $249 and includes lifetime premium support and updates. Both plans include access to all themes and plugins and come with a risk-free guarantee. The popup plugin by Thrive Themes is primarily focused on conversions and allows users to create beautiful and engaging opt-in forms that are accessible right from the WP dashboard. 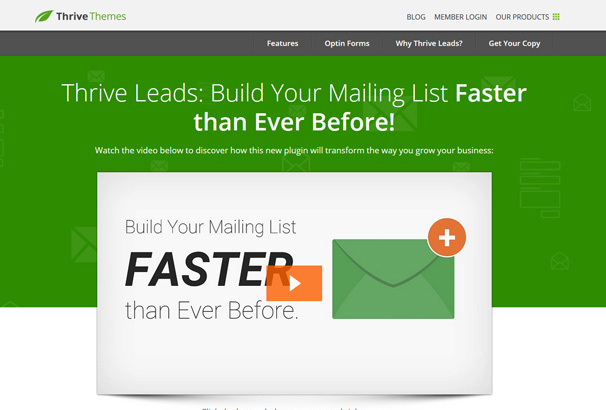 ThriveLeads includes multiple opt-in form types, including lightbox popup, sidebar, slide-in and in-content forms, post-footer forms, full-screen and content locking opt-ins. Its features are quite similar to OptinMOnster, including SmartExit+, a technology similar to Exit-Intent. Pre-built templates are also part of the package and can be customized using the easy-to-use visual composer. The plugin allows users to create different types of opt-ins that can be used in different targeting campaigns. ThriveLeads is also not that difficult to use, offers advanced targeting options and reporting tools and supports A/B split testing. SmartLinks is an alternate solution to opt-in popups, while the trigger options allow choosing when opt-in forms appear. ThriveLeads membership plans start from $19/month (billed annually), while the 5 and 15 license pack costs $97 and $147 respectively. A single site license is also available for $67 and includes all the features, free upgrades and one-year support. If you are looking for a free WordPress popup plugin, SumoMe is one of the best tools available out there. Not only the plugin serves as a regular WP popup plugin and helps increase conversions, it can also be used as a social sharing tool and comes with analytics features. However, the plugin lacks many advanced features and is mostly suitable for users who just want basic functionality. The free plugin also creates a menu-bar across the website, which is not something professional and advanced users would want. In order to get full functionality and premium features, you’d need to pay the subscription fee, which also removes Sumo branding and provides access to other premium features such as Pro insights, integrations and VIP support. 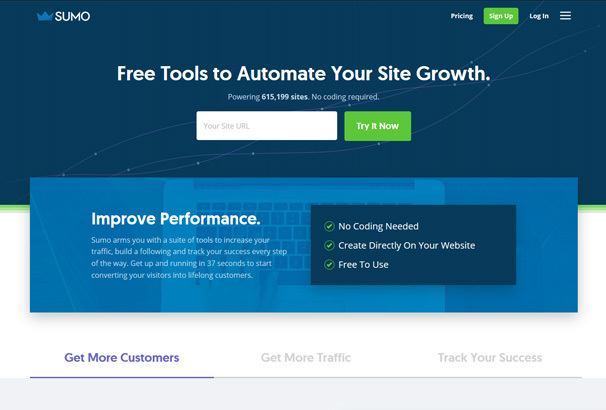 The Basic or Free version includes A/B testing, templates and all Sumo apps for one site and limited monthly visitors. Small package is suitable for up to 5,000 visits per month, costs $29/month (billed annually) and includes only one site. Medium package includes 3 sites, costs $59/month (billed annually) and allows up to 50,000 monthly visits. The Big package includes 9 sites, enterprise-level integrations, supports up to 500,000 visits/month and costs $119/month (annual payment). The Sumo package price is quote based and supports unlimited monthly visits and sites.